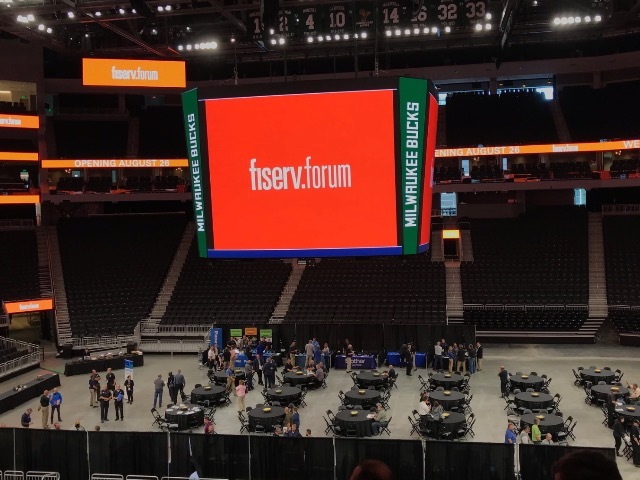 From big screens to small screens, the tech inside the new Fiserv Forum is much improved over its predecessor. Published Aug. 23, 2018 at 2:31 p.m. The BMO Harris Bradley Center was great for a lot of things. Being on the cutting edge of technology and the audience entertainment experience in the 21st century was not one of them. 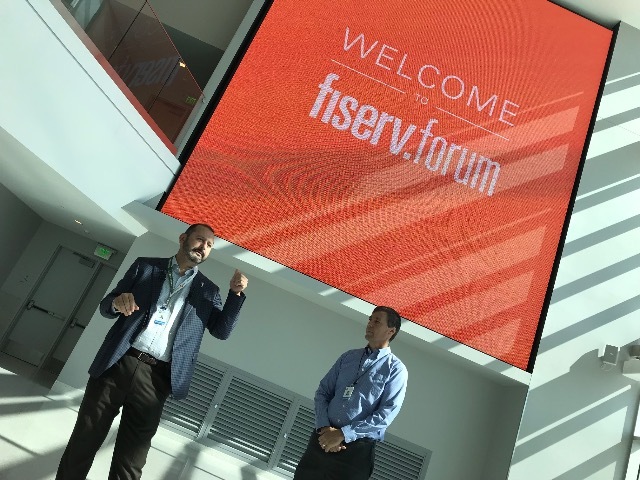 Unsurprisingly, its fancy new replacement – the Fiserv Forum – is putting an emphasis on improving in that department, as we saw taking a tour behind the tech of the new arena with the building's Chief Technology Officer Robert Cordova and Executive Director of Operation Technology Ron Kiepert. 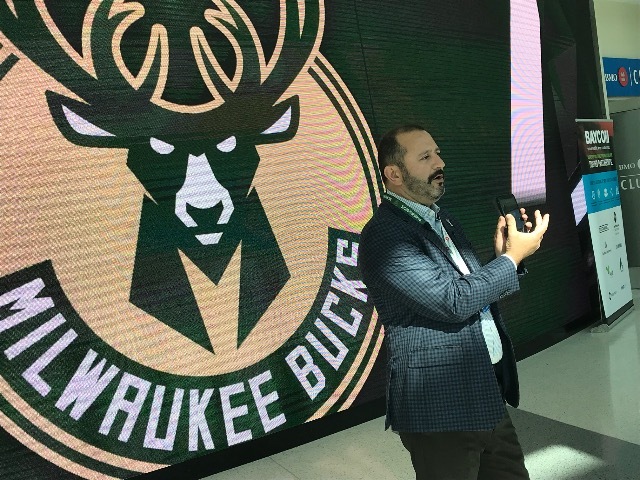 A good part of the tour got into the minutiae behind the scenes – talk of fiber cables and IPs and things of that nature – but here are eight things the average Bucks fan or concert attendee should look forward to from the tech inside the brand new Fiserv Forum. For all the lively times hosted inside, the BMO Harris Bradley Center featured a lot of dead space, areas where there was little activity going on – and, most disappointing, few high-quality places to keep an eye on the game or concert. That will not be a problem at the Fiserv Forum. In addition to the open concourse areas looking into the bowl, there will a ton of television screens scattered around the building – about 850 screens, to be precise, provided by Daktronics and Cisco. So no matter where you are in the Fiserv Forum, you won't be far from the action. The first screen most people will notice entering the Fiserv Forum will be the gigantic 1080p LED digital sign welcoming patrons inside the main concourse. 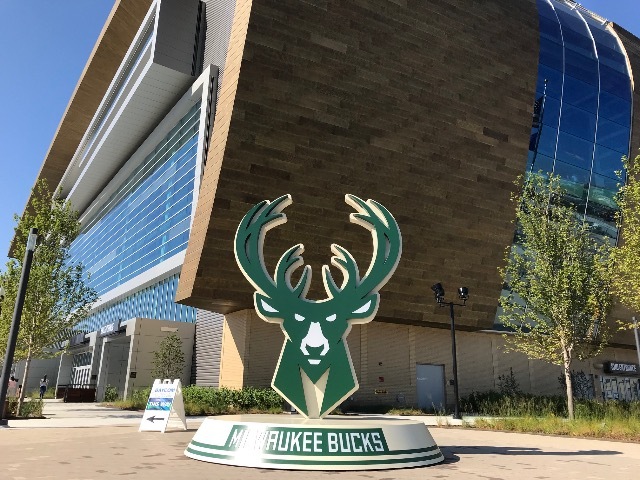 For concerts, promoters will be able to plug in the right visual to welcome fans to a show, while the Bucks and Marquette might use the huge screen to show replays and highlights from the night before as well as maybe even the game itself for folks arriving late to the arena. But it's not just the big screens that matter at the Fiserv Forum. Obviously, in this always-connected 21st century we live in, you need to think about the small screens in the crowd's pockets as well. 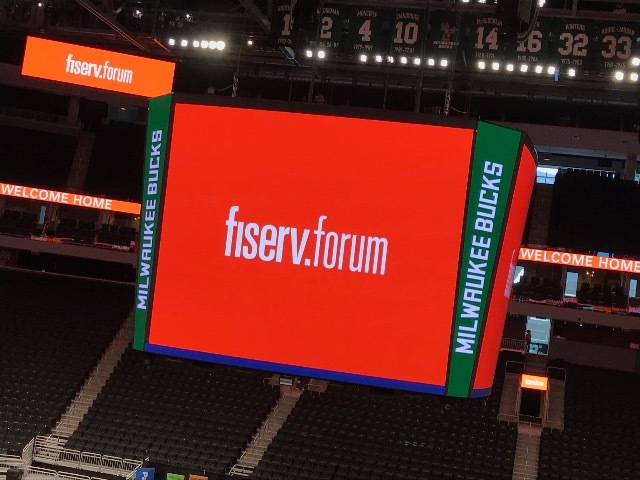 For that, the Fiserv Forum has developed an app with two functions – for Bucks and for Forum events – instead of multiple separate apps. Get used to using that small screen, too, because the Fiserv Forum aims to go completely ticket-free, nudging fans and concert-goers toward downloading their tickets on their smartphones or using the app. The in-person box office will allow for people to print off tickets there, but Cordova noted that will be "the exception not the rule" for the Fiserv Forum, aiming for 100 percent ticketless access. So you'll have to put in an effort to miss any of the action on the court or during a show. 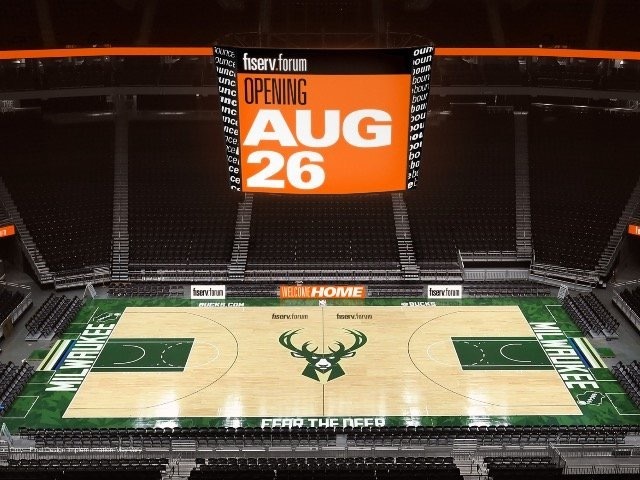 Plus, the Fiserv Forum heard that you like screens, so they put screens INSIDE the giant screen for all of your screen-watching purposes (namely for the players on the court or those seated in the first few rows with a poor angle at the massive scoreboard). It's basically the "Inception" of jumbotrons. How does one go about controlling close to 1,000 screens? By making all those screens connected to one another. All of the screens are controlled by one central location, giving the Fiserv Forum tech team flexibility to change displays quickly from event to event (important considering the arena will host a concert or game every two or three days) and adjust them in the moment. For those who suffered in the BMO Harris Bradley Center trying to post a sweet video or photo of a thunderous Giannis dunk only to struggle through its sluggish WiFi, those dark days are over. 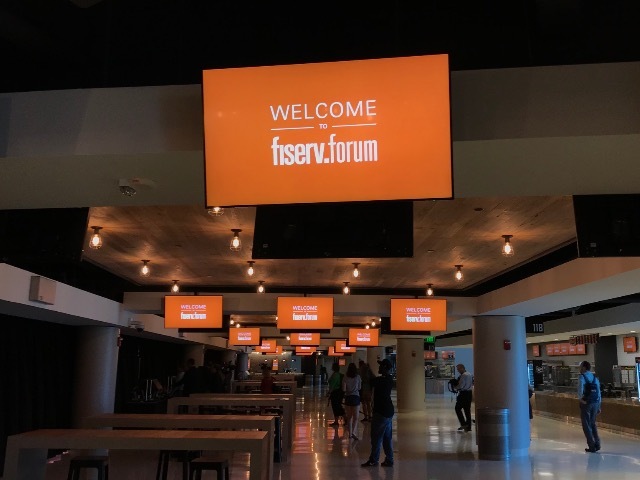 The Fiserv Forum is thankfully loaded with speedy WiFi capabilities thanks to more than 500 access points and the DAS (distributed antenna system) hidden throughout the arena. So tweet away! While your eyes will be on the court – or on that huge scoreboard – the Bucks will have some helpful eyes in the sky. Tucked away in the catwalk above the floor is some player tracking devices, which help the team's staff monitor player speed, movement, defensive trends and more. This may not look like the fanciest part of our tour, but some of the most spy movie-esque tech is found in this shot. 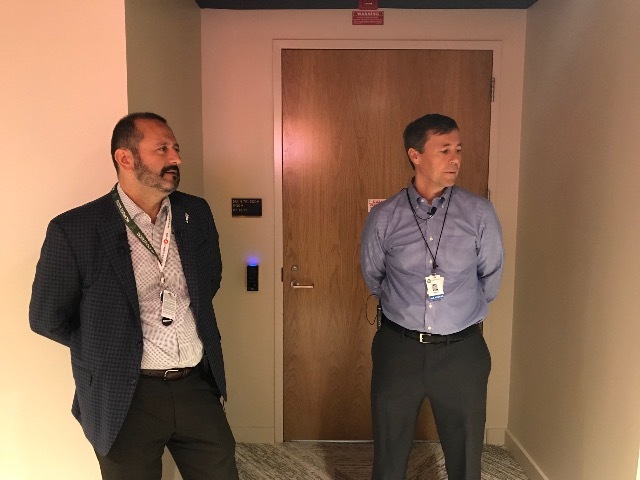 That glowing blue bar in the background is a fingerprint scanner, which provides the security for one of the major data centers for the Fiserv Forum. Combined with the retina scanner that defends the Bucks locker room area – as well as the locker room at the practice facility across the street – there's some pretty sweet Bond-like gear in action at the new arena. 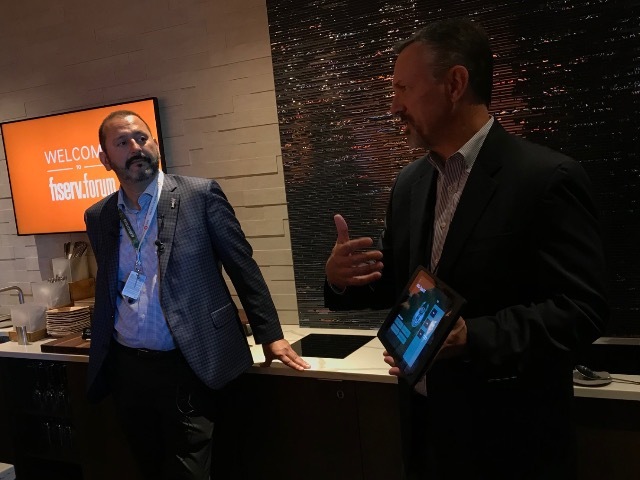 For those lucky enough to watch a concert or game inside one of the Fiserv Forum's luxurious suites, yes, you will have some nifty technology to play with as well. Three screens are affixed to the walls of the main room, which can all be simply controlled with just one iPad. And, like all of the smaller displays inside the arena, they can also all be accessed and controlled with the Cisco Vision screen system which monitors and connects with all of the Forum's displays.